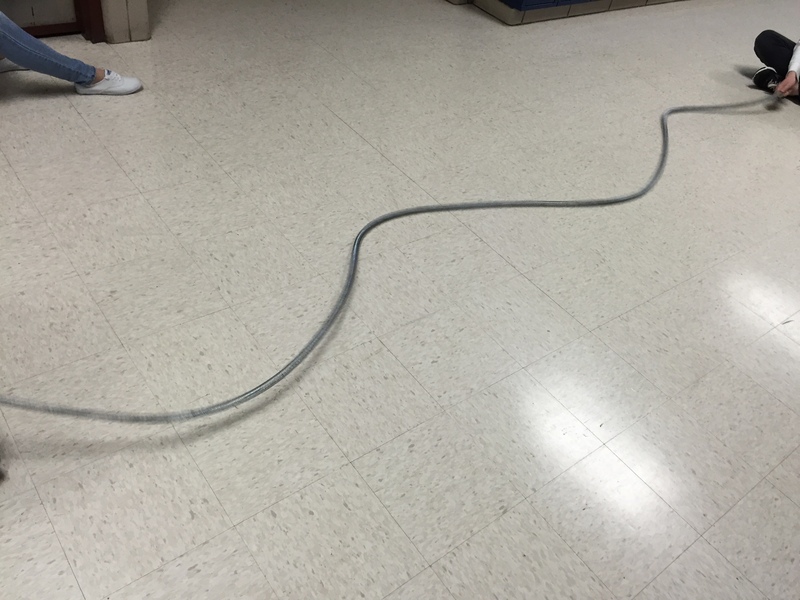 Students made standing waves on snakey springs and looked for the pattern in how many wavelengths could fit. The lab went a lot faster than I expected, so we also had some qualitative discussion about “Keep in Time” from Direct Measurement Videos to introduce the idea that sound has a speed. 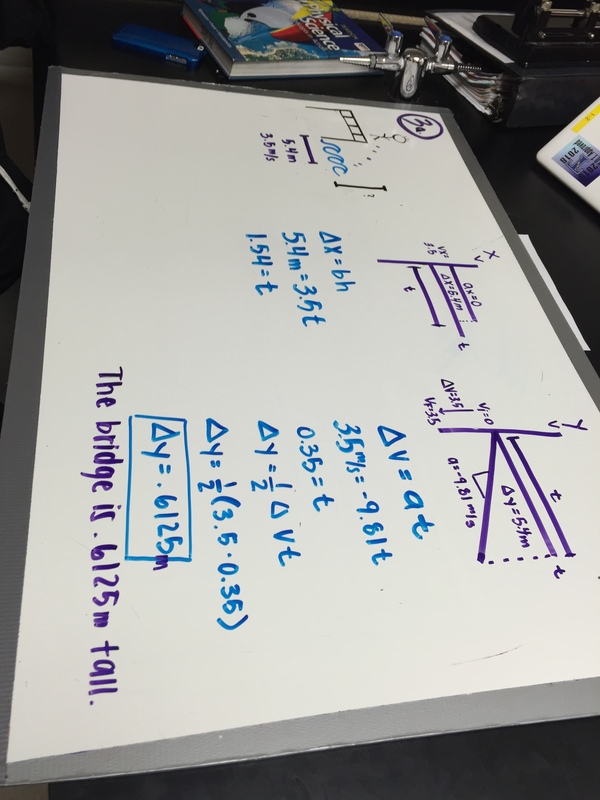 Students whiteboarded yesterday’s problems for Kelly O’Shea’s Mistakes Game. Students are getting better at making meaningful mistakes and at asking good questions to reveal those mistakes.